It's out. 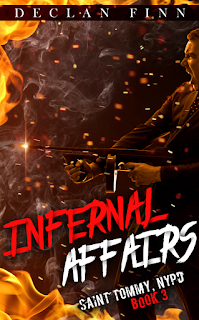 Book three of my next Dragon Award nominated series, Infernal Affairs. Yes, I'm that confident, and you will be too, once you read through them. You know, I used to think that Hell Spawn was the best thing I ever wrote. But now that I've finished book 4, and outlined book 5 and 6, that it was only the beginning. Because buckle up, we're going to have some fun. I figured I was going to have to up the stakes. What's that you ask? I've attacked his family, his police station, his friends and his city, so what could I possibly do to him? When I outlined Infernal Affairs, I had expected to address the issue of corrupt police officers. Then, over the course of the book, I would be expanding the threat from corrupt cops to other criminal classes. Then I realized that I was playing far, far too small. It was time to expose Detective Tommy Nolan to a new level of threat. He's faced demons, a few zombies, fah! So what! Here's a balrog crashing into the Long Island Expressway, a parkour chase with hellhounds, and that's the first few chapters. So there! We're going to expand Tommy's horizons to a world of monsters so vast, I think I'm going to threaten his sanity a little. It got so fast, so knuckle-intense, an alpha reader needed to take breaks. I edited it so the down time was a little longer -- meaning I kept all the tension, just gave the reader more time to breathe before all hell breaks loose again. Meaning the readers won't even STOP this time! MUAHAHAHAHAHA. And this concludes the origin story. Heh heh heh. Yes, dear readers. The first three books are a nice warm up act for Tommy. Anyway! 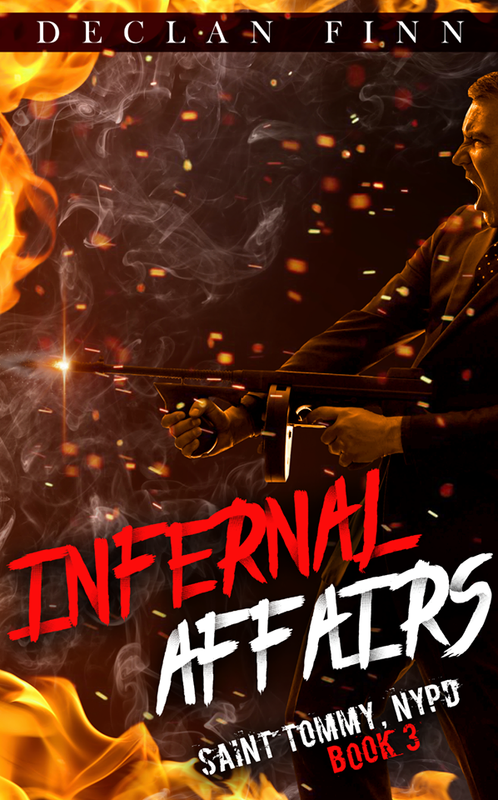 Infernal Affairs, out today! Take a look at it, review it when you can, and enjoy. Brace for impact, guys, we're going to have such fun.